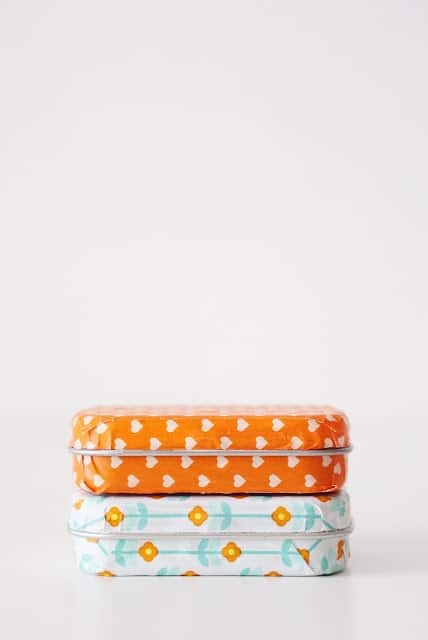 If someone in your family loves to munch on Altoids ask them to save you the tins, so you can have a go at some of these amazing crafts you can make with an Altoid tin! Our collection of Altoid tin toys proved so popular we set out to see what else we could do with an empty mint tin. And there is a lot of cool stuff! 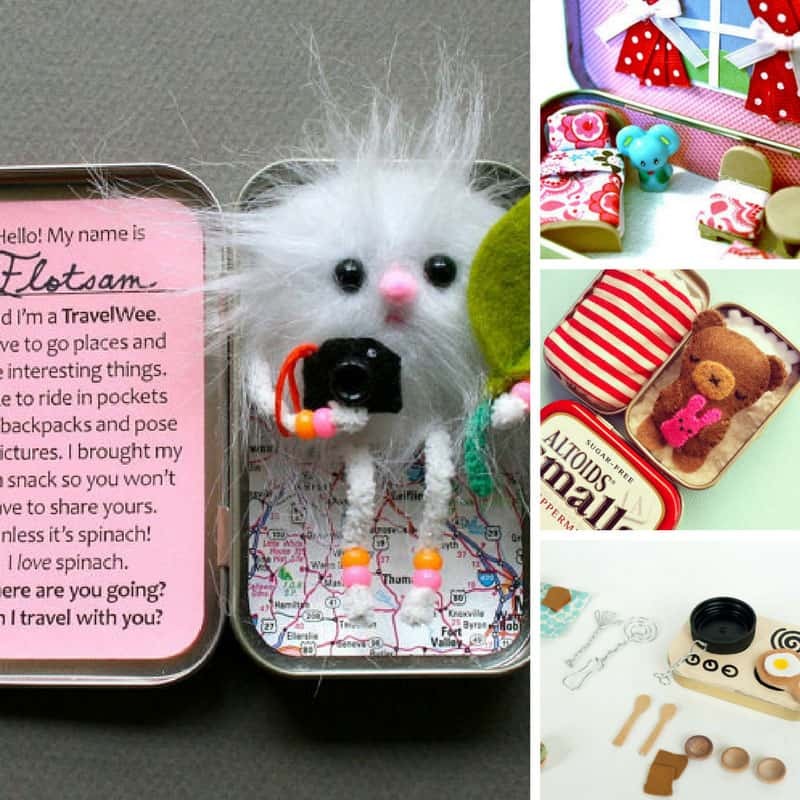 Here’s our pick of the best Altoid tin crafts, so start saving up those tins because many of these would make fabulous gift ideas too! 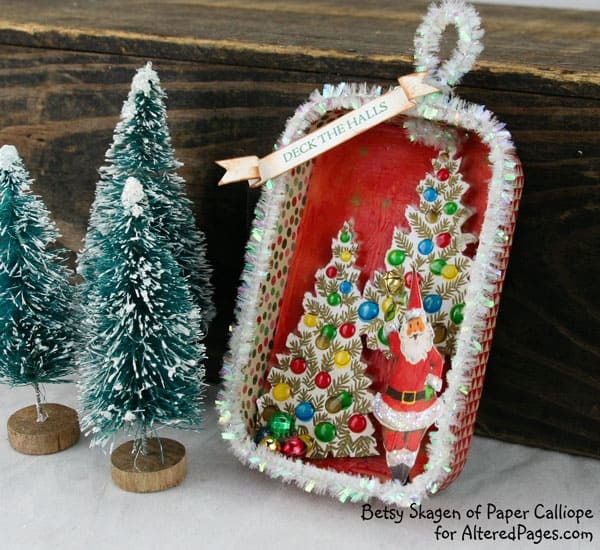 Recycle some old Christmas cards and turn your mint tin into a fabulous ornament to hang from your tree. 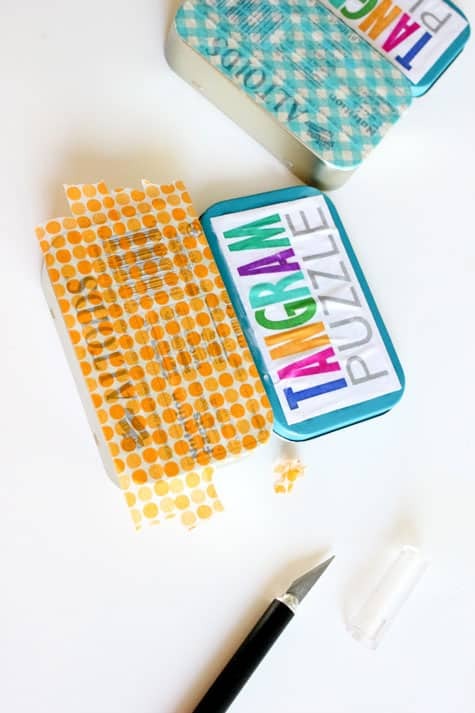 If you know someone who loves tangram puzzles they’ll love this Altoid tin makeover! 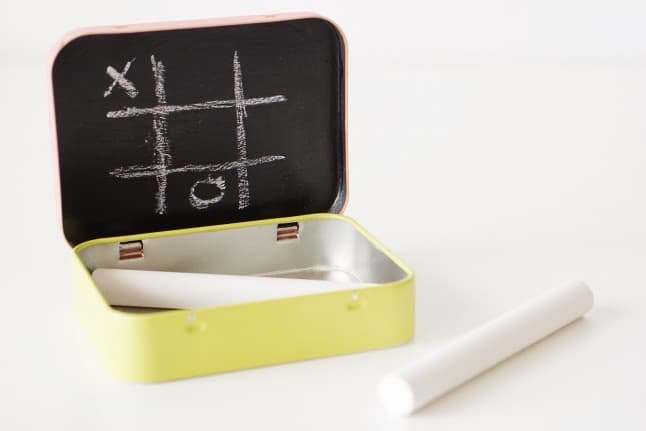 Altoid tin games are perfect for Doctor’s waiting rooms, church and restaurants. 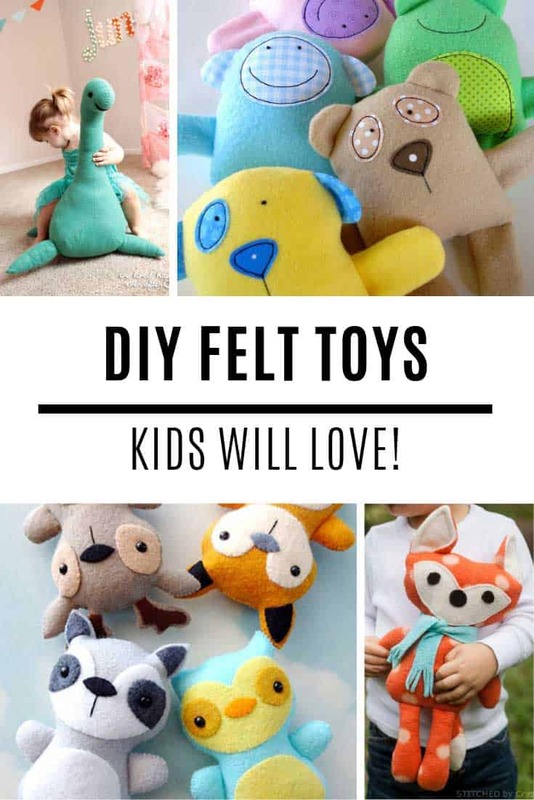 This craft is super easy and the source of never-ending fun! 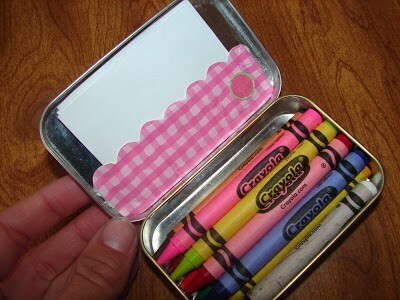 This has to be one of the easiest Altoid tin crafts, but also one of the most effective. Grab your favourite roll of Washi tape and get decorating! 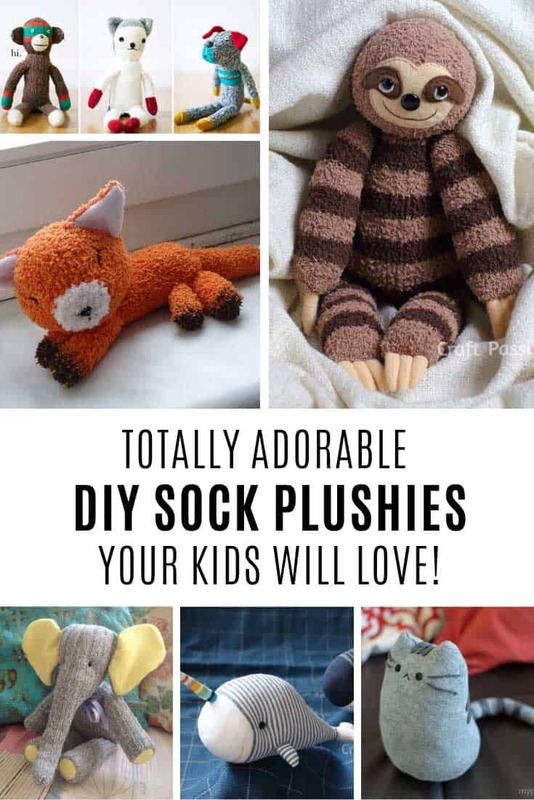 If you need a unique gift for Father’s Day try this. 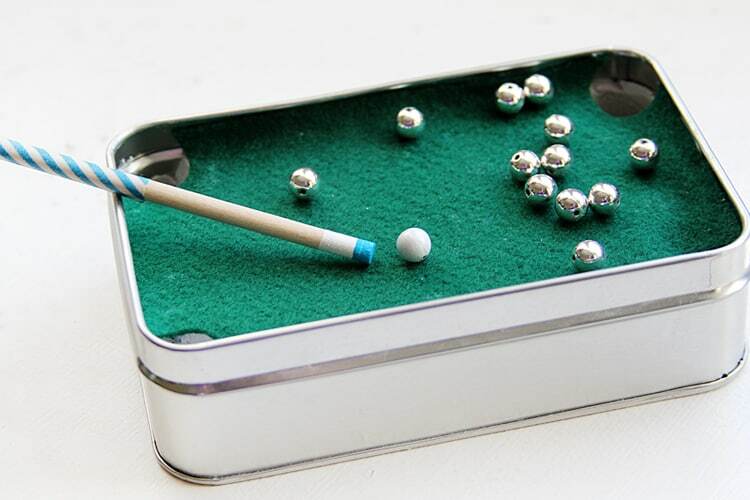 A miniature pool table that Dad will love! 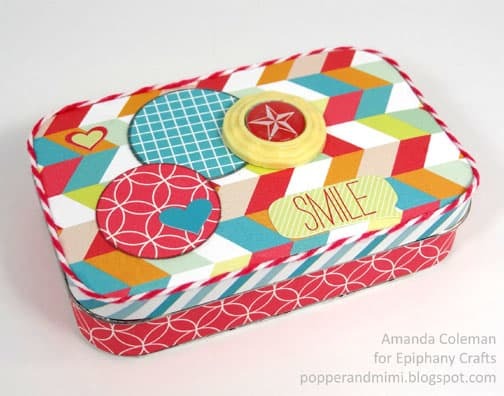 No one would ever guess there was a repurposed mint tin hiding underneath this bright and funky design. And inside are all the essentials a high school girl needs to get through the day. If you’re putting together an emergency kit be sure to make one of these travel candles. If you need to display your business cards at a show or even in your store then check out this altoid tin craft for something eye-catching and unique. Make your tin look pretty, add some paper and crayons and you have the perfect thing to keep your kids occupied in restaurants. 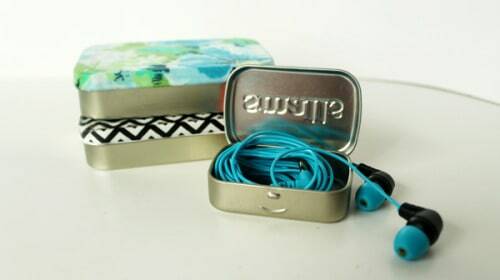 Earbuds have a habit of getting themselves in a tangled mess so these cute earbud tins would make the perfect gift for any music lover! This is a teeny playset that can be enjoyed by adults and children alike. 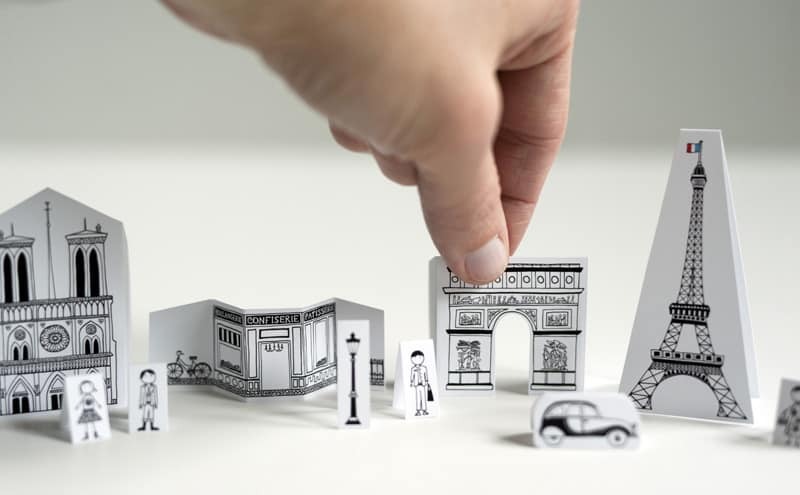 A miniature version of the city of Paris hidden inside an Altoids tin. 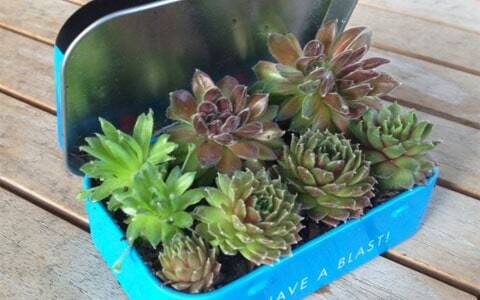 If you’ve been busy making your own terrariums and you have too many sempervivum chicks try making one of these mini gardens with your metal breath mint tin. These would look great on a desk so maybe make one for your boss for Christmas! 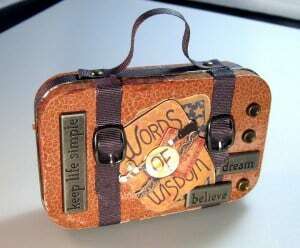 Here’s the perfect stocking stuffer for a traveller, a luggage themed Christmas ornament made out of an Altoid tin. 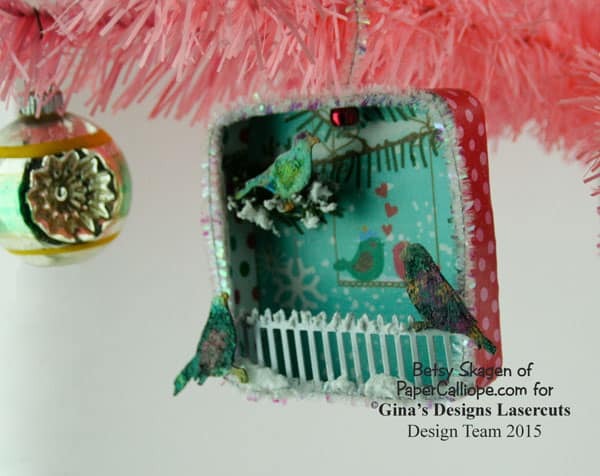 If you have a friend who loves birds they will love this pretty bird Christmas ornament to hang on their tree. 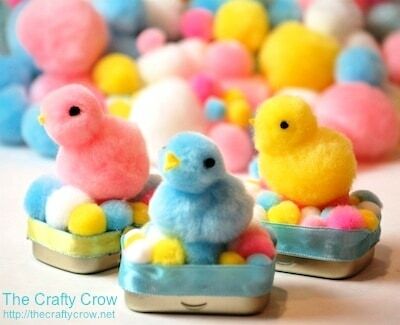 Here’s a super easy treat to add to your children’s Easter basket! 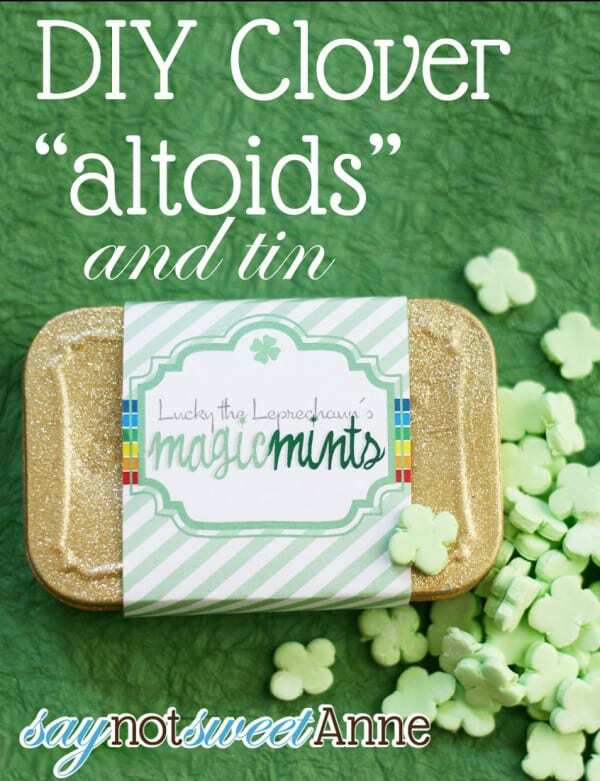 Make your own clover shaped mints and paint your tin with a gold glitter for a fabulous Leprechaun themed St Patrick’s Day gift. If you’re road tripping to the zoo then craft one of these accordion books to keep your child entertained in the car! 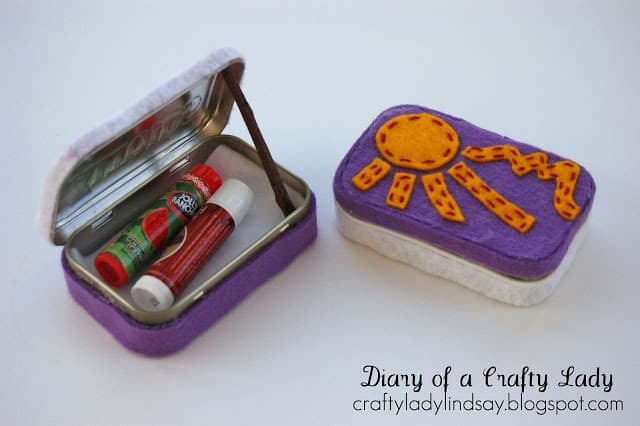 This Altoid tin craft is super easy to make if you have a hot glue gun, and makes the perfect gift for a teen girl who likes to carry a chapstick. 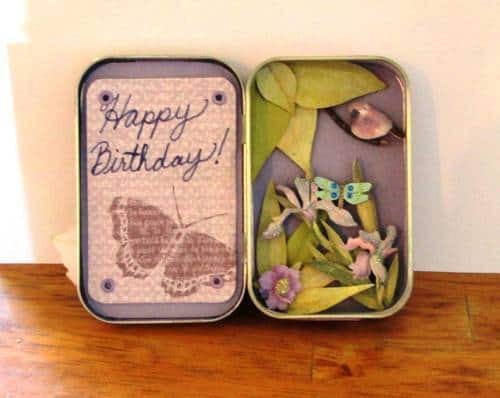 Altered Altoid tins are perfect to give as a unique gift instead of a birthday card. 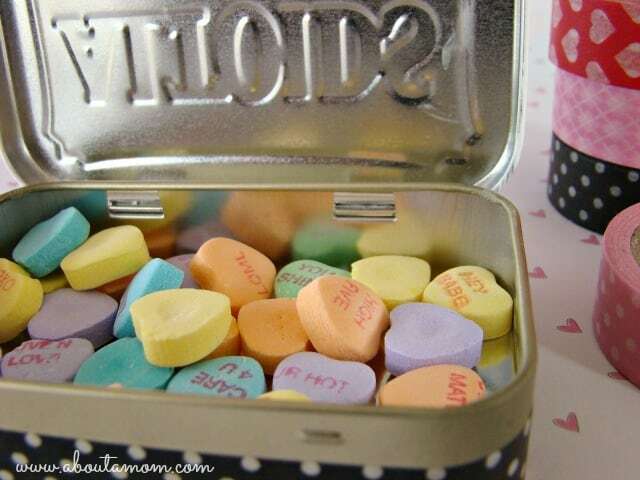 If Valentine’s Day (or your anniversary) has snuck up on you again and you’ve no time to go buy a gift try this simple craft and turn your tiny tin into a heart filled gift. 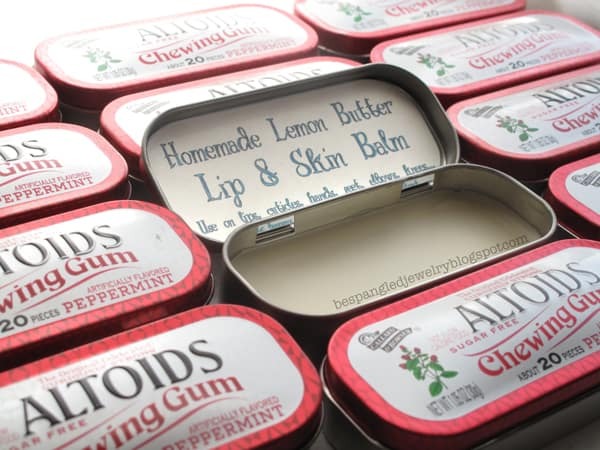 If you like to DIY your own beauty gifts for birthdays and Christmas then check out this tutorial that shows you how to use your Altoids tins for homemade lip balm or skin balm. 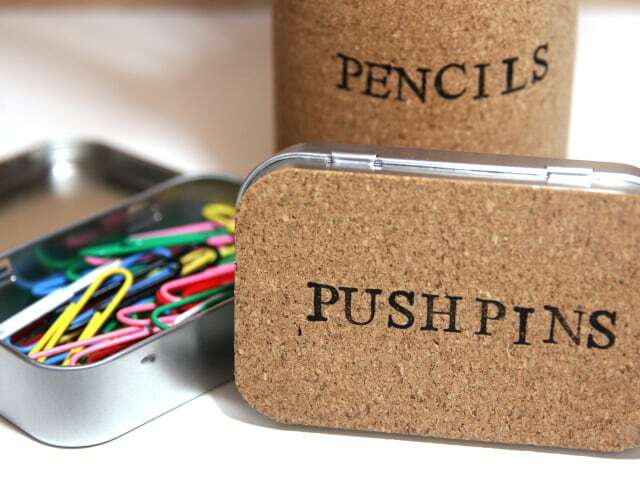 Altoid tins are the perfect size for storing push pins and paperclips, but just putting them in a regular tin would be pretty boring right? 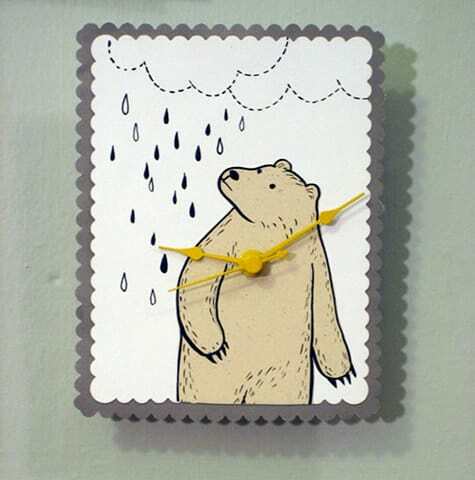 Which is why you need to do this craft to add some cork and letter stamps. 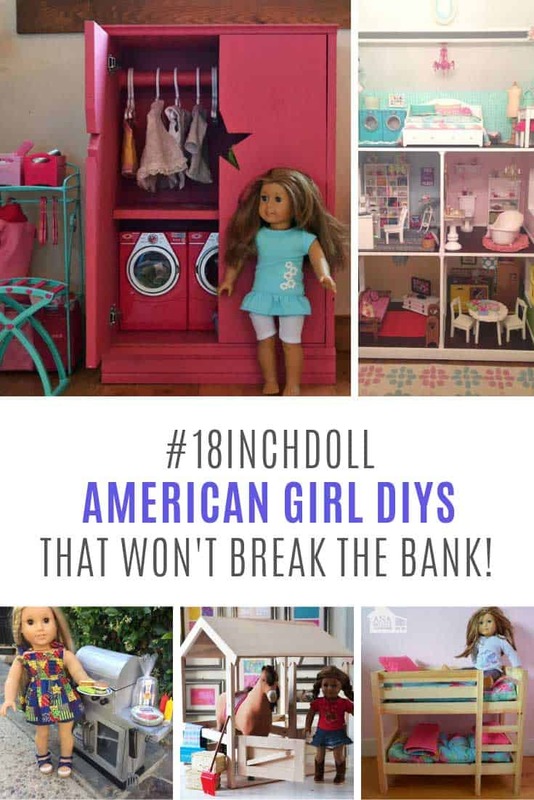 Okay, so you have to be seriously crafty to actually make this project but it was far too amazing not to share. 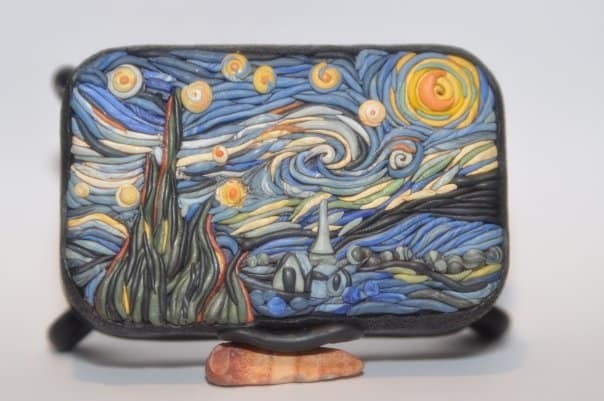 Turn your altoid tin into a sculpture, by recreating a masterpiece from one of the Great Masters with polymer clay. 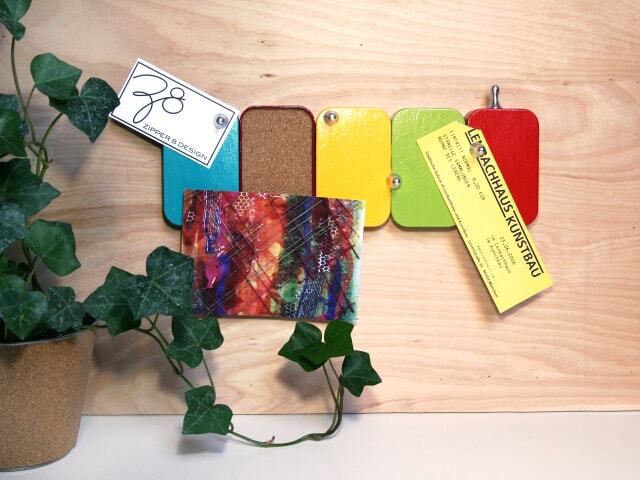 If you’re decorating your desk space and need a bulletin board then check out this tutorial which shows you how to combine some Altoid tins (or any other kind of tin for that matter) and turn them into a corkboard meets magnetic bulletin board. 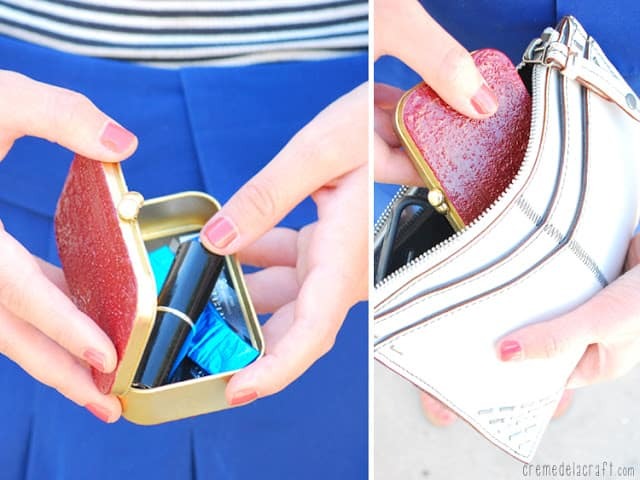 You know those days when you don’t really want to carry your purse but you still need something to put your cards, lipstick and gum in? 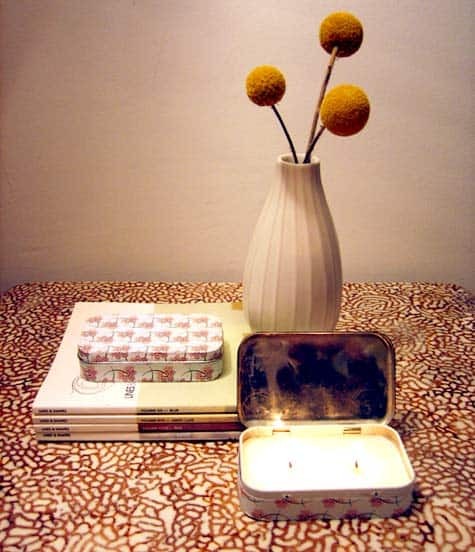 Those are the days you need one of these fabulously decorated Altoid tins. The kiss clasp on the front is a really genius touch. 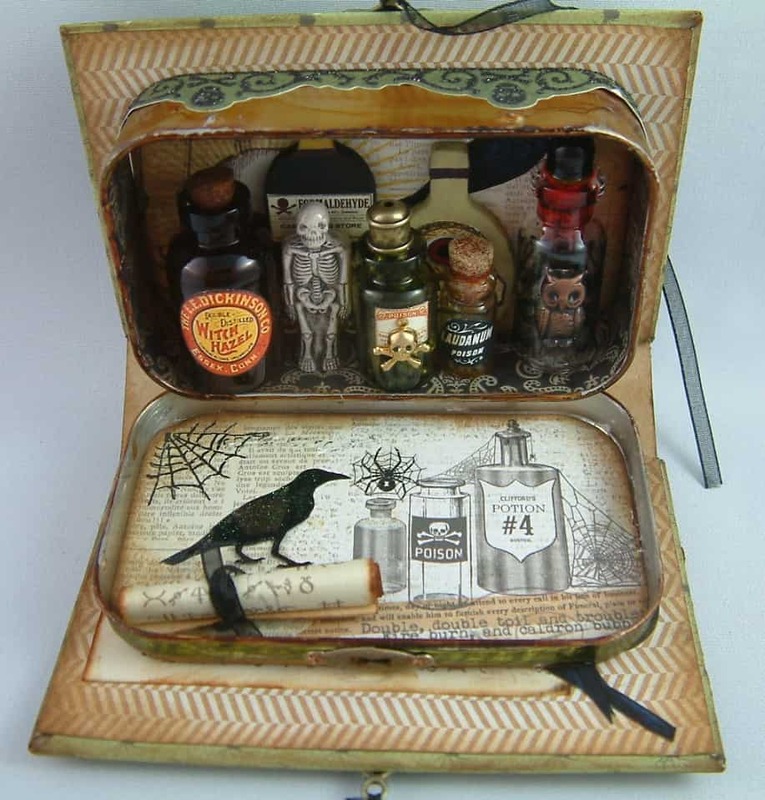 We’ve never seen anything like this before, and this miniature apothecary book would be a really unique gift idea for a Harry Potter fan. 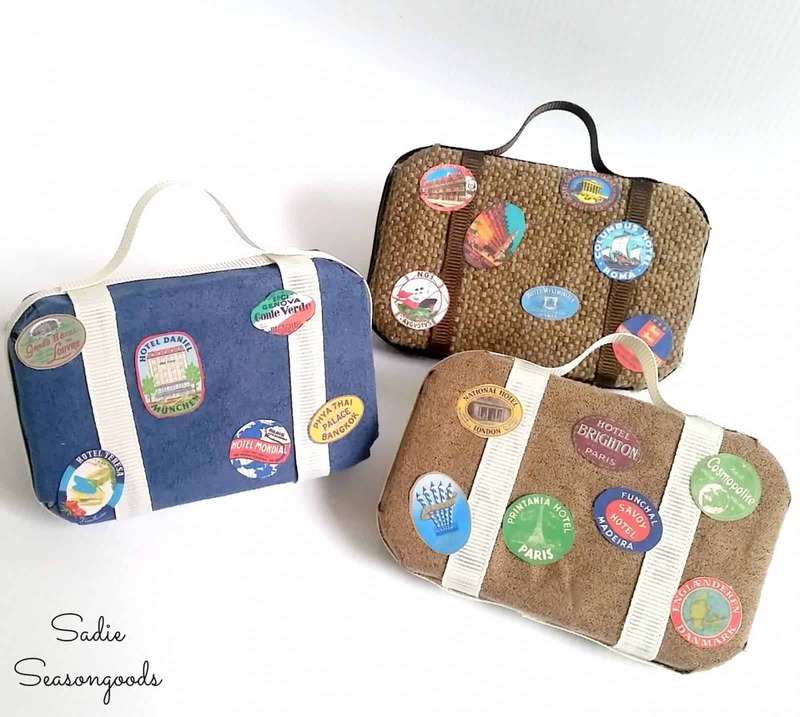 Use scraps of ribbon, stickers or anything else from your craft stash to turn your mint tin into a mini suitcase. 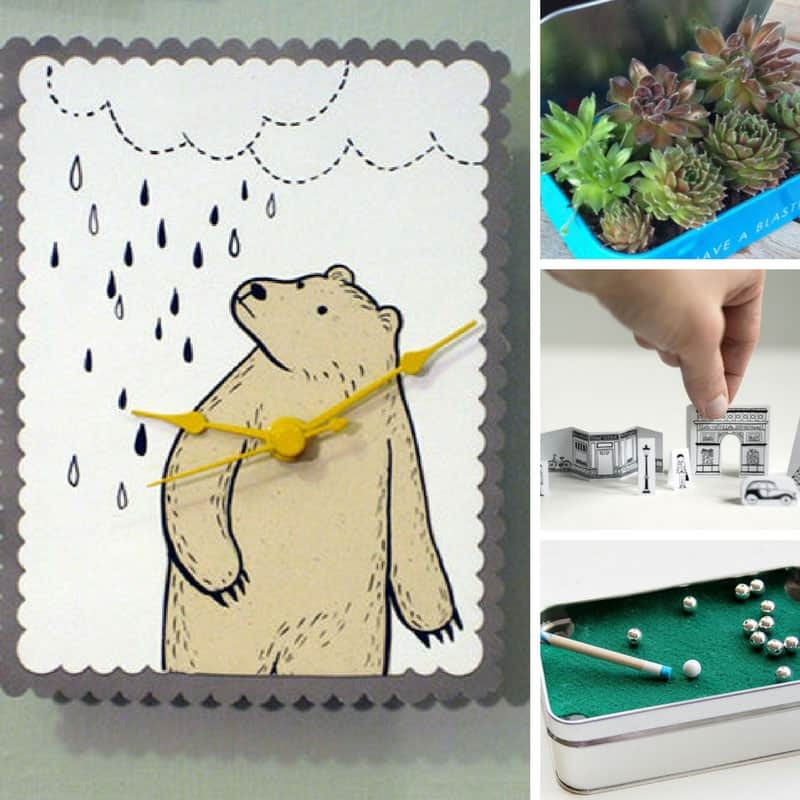 If you have a favourite birthday card that you really don’t want to throw away why not combine it with an Altoids tin and make yourself a fabulous little clock!